This conflicted scene of serenity & chaos was captured near the Brussels Ferry, Brussels, Illinois found just north of Grafton. The now peaceful waters & the massive collection of debris depict the opposing characteristics the mighty Mississippi River can dish out. 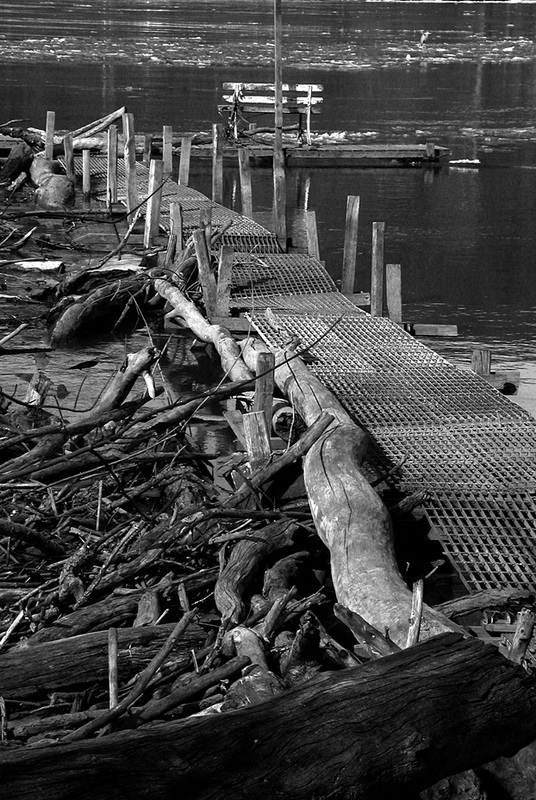 “The Old Dock” still manages to hold its own against this formidable force of nature.